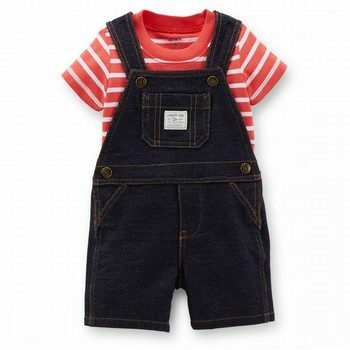 Classic, easy outfit for your little baby boy, including knit denim shortalls worn with a classic red striped t-shirt. Features functioning snaps at sides and straps. 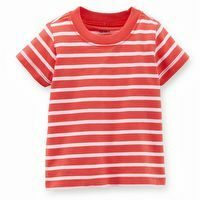 Top: 100% cotton jersey. Pants: 100% French terry cotton.